Formerly reserved for a small minority of extreme divers, underwater diving is becoming increasingly popular, thanks in particular to the social networks on which more and more photos and videos circulate all the more attractive one than the others. 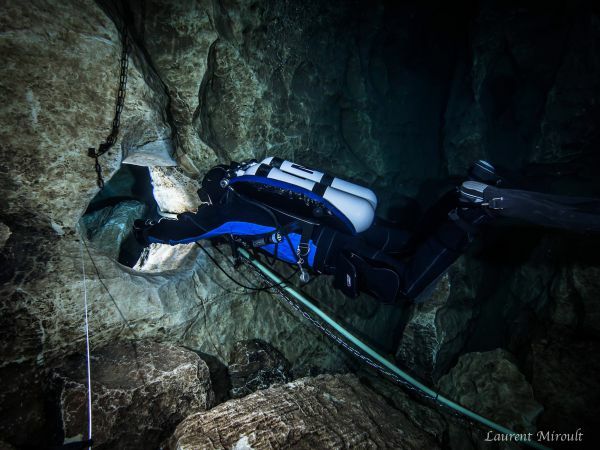 The "cave diving" opens up new opportunities for exploration, another way to dive not only into the liquid element, but also into the interior. Over the last ten years, the teaching, equipment and techniques of underwater diving have evolved considerably. This makes it accessible from the advanced open water (level 2) and from the age of 15! The equipment is based on the K.I.S.S. (Keep It Safe and Simple), a guideline that advocates simplicity in design and that any unnecessary complexity should be avoided. In other words: eliminate the superfluous by optimizing what is necessary. It is no longer necessary to overburden with heavy and cumbersome equipment which could previously brake many people. So, how is training done for underwater diving? Although the IANTD standards allow to start a diving training from level 2 and only with 25 dives, it is essential to control its buoyancy, a horizontal position in the water (trim) and techniques of assistance of a binomial And self-help. As such, the course "The Essentials of IANTD" is an excellent preparation for technical diving in general. The formation is split into three distinct parts which can be followed in a deferred manner or at one time: cavern diver, intro to cave diver and cave diver. Cave diving is defined as a dive under the ceiling, keeping the daylight and the exit always visible. The navigation has to be simple, that is to say by following only one main line ("wire of Ariadne"). After having followed the formation in cave, you will be prepared for dives in cave well beyond Of daylight, but always with simple navigation is the level intro to cave. The third level of formation is the diver cave which prepares the diver for the exploration of complex networks with important penetrations. The emphasis is on planning, autonomy and management of gases, negotiation of technical passages, intersections, circuits, crossings ... 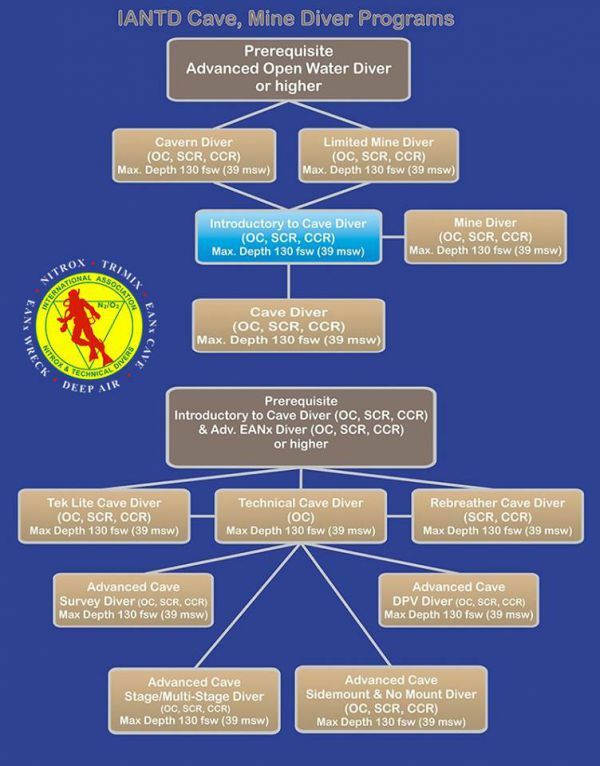 If the diver already possesses a technical level (advanced nitrox minimum) he can directly apply his Ceiling level thanks to the cursus technical cave diver which represents the highest level in underground diving at IANTD and which opens doors for other specialties. Consult the flowchart of the IANTD cellar program for more details. Generally, the first 2 levels (cavern and intro to cave) are grouped together in a single formation because in Europe there is practically no cave large enough to warrant training. This is not at all the case in Mexico. The course consists of theory sessions, ground drills and real ceiling dives. In order to make the course less tiring and much more fun, we alternate a bit of theory, land drills and then the actual dives. Before diving under the ceiling, a day of open water diving is necessary to ensure that candidates have mastered basic safety exercises before bringing them into the cave section. The actual dives, penetrations and exercises are carried out in a progressive manner and always respecting maximum safety rules. For example, as part of intro to cave training, penetration is limited to 1/6 of the available gas volume. That is, if you start your dive with a bi-bottle inflated to 210 bar, you will be entitled to 35 bar for the penetration phase. Unlike sports or technical diving where the ceiling is virtually concretized by decompression levels, underground diving is real! This means that if you progress by 30 minutes, it will take you as much to find the exit. This type of diving requires a different approach to diving at sea, given the environment in which you operate: if a problem occurs, it will have to be solved quickly because you will not have direct access to the surface. You will understand that even if underwater diving involves additional risks to "traditional" diving, it is above all a good mental preparation and a good teaching that you will need. However, if you follow the rules you will learn and understand techniques, underwater diving is no more dangerous than diving at sea. 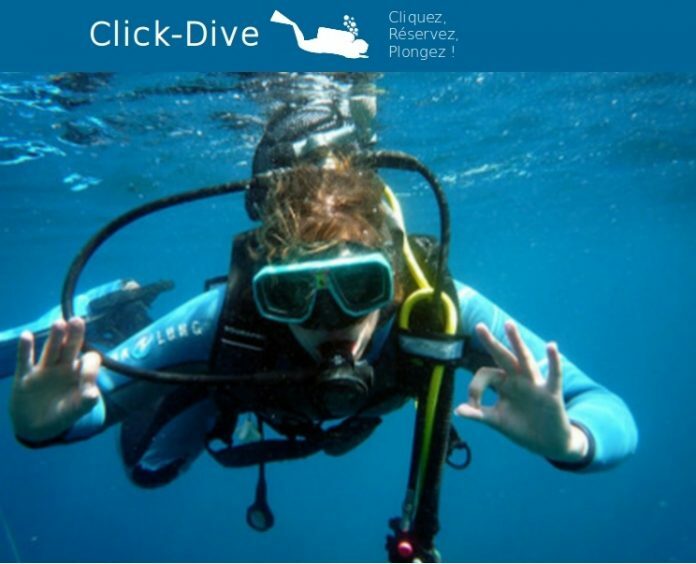 If you would like to book an underwater diving training please do not hesitate to look for one on Click-Dive, the diver's organization website. Click-Dive is the best place to find a technical dive.